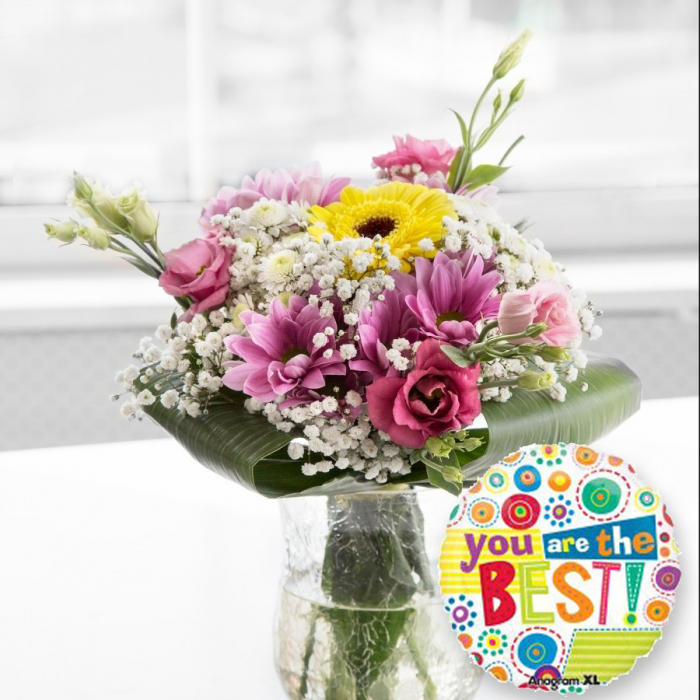 Congratulate them on their success or just lift their spirits with an unique gift set of dazzling bouquet and jolly balloon. Send the warmest regards along with the freshest blooms. Very prompt same day flower delivery. Ordered an arrangement of sublime beauty in the form of a hand-tied, daisy bouquet. Recipient was over the moon with joy! Thank you so much. Thank you for the very fragrant flowers. I cannot stop smelling them! I love roses but most florists ruin them with delivery, but you keep them looking fresh for ages. Handy Flowers did it again! I ordered flowers last minute and they were delivered on time and each flower was wonderful. I love how beautiful the arrangement arrived. I was in need of an anniversary bouquet for my wife, and you made an amazing flower arrangement that left her speechless. Thank you for delivering the best every time! I didn't know where to turn to for my flowers, but you offered a spectacular selection to choose from. So happy I found your flower delivery service! My mother was so happy with this bouquet and the balloon made her even happier. Thank you for your wonderful service. I recommend this company for any occasion. A great bouquet for a ''congratulations'' occasion. Really cheerful and blooming. This florist impresses me every single time. I've ordered more than 5 times with them already and the flowers have always been the freshest.